Have you ever watched an ad on TV and wondered out loud, "Now what on earth are they advertising?" I have. Many times. Usually by the end of the advert I begin to hazard a guess. Sometimes I'm right. Sometimes I'm totally wrong. The movie clip that is clearly advertising some sort of drink ends up promoting a make of cellphone. Or the gripping little video showing a cute toddler and a rescue dog is really trying to get me to buy a bar of chocolate. Their taglines are not clear, if they are even present. Until 2010, I had never even heard of a tagline. Then I attended a continuing workshop at the Florida Christian Writers Conference. The workshop leader was Laura Christianson of the Blogging Bistro. She led us through a series of exercises in an attempt to establish a "tagline" for our writing. "A tagline is a slogan that succinctly, memorably, and descriptively sums up a company or product." (Thanks to Wisegeek.com for this definition.) So as a writer, I needed a slogan that would sum up my writing. I learned a lot about myself during Laura's series of workshops, but I left without a tagline. It wasn't Laura's fault. My problem was that I seemed to have several genres. I write to encourage writers. And as a cancer survivor I write to encourage those in the valley of cancer. I had two websites. Two blogs. Two Twitter accounts. Two genres. Several newsletters. Some weeks after the conference, I realised what had been looking me in the face all the way through those exercises. I live to encourage and inspire others who are struggling in some way. Even as a youngster at school, I inevitably befriended the kid that had no other friends. I didn't write in a variety of genres at all. I wrote articles to inspire and encourage. I searched for a definition of a tagline for writers and came across this one on a forum, which I have slightly modified: A tagline is a concise statement of your Unique Selling Proposition (USP). It is a short slogan that tells what you do, what benefit you offer, and what makes you different, all at the same time." And at last, I had a tagline. The Write to Inspire and Encourage. How has this helped me? 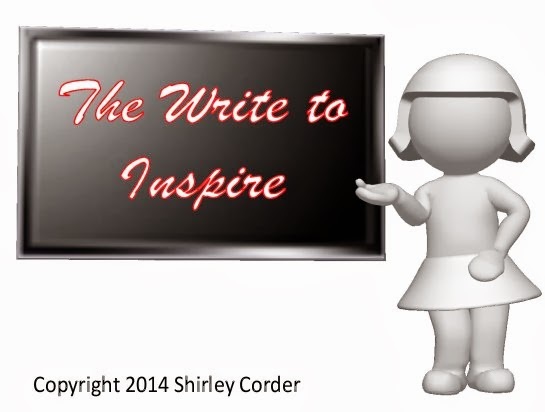 I now have one newsletter: The Write to Inspire. Although I still have two websites they have a common goal. ShirleyCorder.com is to inspire and encourage writers, while RiseAndSoar.com is to inspire and encourage those in the cancer valley. The tag is not perfect, and I'm sure it will develop as the years go by. But at least it tells people who I am. Some taglines are more catchy than others. Even Coke, surely one of the experts in the field of catchy slogans, changes theirs often. Remember "Coke is It!"? That dates back to 1981. "Things go better with Coca Cola" goes back even further—to 1963! Every year or two, the manufacturers of this drink come up with a new tagline. But I have to say this for them. I always understand what they're advertising. OVER TO YOU: Do you have a tagline? If you do, please share it here. And if you don't? Maybe work through those three points above and see if you can come up with one. Share it and if you like invite comments and suggestions. Next month, same time (April 20) same place we'll look at some taglines that work really well, and see what we can learn from them. Maybe we can all improve our current tags. SHIRLEY CORDER lives on the coast in South Africa with her husband, Rob. Her book, Strength Renewed: Meditations for your Journey through Breast Cancer contains 90 meditations based on her sojourn in the cancer valley. 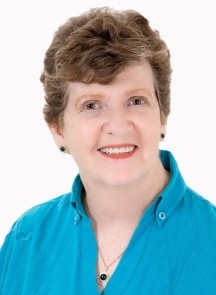 Please visit Shirley through ShirleyCorder.com, where she inspires and encourages writers, or at RiseAndSoar.com, where she inspires and encourages those in the cancer valley. You can also meet with her on Twitter or FaceBook. Thanks for your comment Mary Jo. As I shared, I didn't find it easy to start with either. Hmm, a challenge! Good post, Shirley. Thanks Heidi. Enjoy the challenge! Finding your tagline is probably one of the hardest things a writer does. Thanks for sharing your breakdown of your process. I'm sure there are many ways to do it, but this one worked for me! Widder, you're so right. Finding a tagline that works is tough and is so important for your marketing. Shirley, thanks for giving tips on how to come up with one that says what you want it to. Thanks Karen. As I said to Widder, I'm sure there are many ways, but this one worked for me when others didn't. Shirl, taglines (credits) are soooo important. It's true that they help us manage our branding, too! Thanks Carolyn. Yours is a classic example. Every time I see the word "frugal" I think of you. LOL! Great post Shirley - really clear. I don't have a tagline but you've given me some excellent tools to develop one. I'm glad, Magdalena! Now go for it - and let us know what you come up with! Huh. I never knew I needed this. Thanks, Shirley. I learned alot! I'm glad, Kathleen. I look forward to reading what you come up with. Great post! At a retreat a couple years ago, I was with some writer friends brainstorming about this. We came up with Step Away from Ordinary for mine to describe my fiction, since many of my books are set overseas, and I want the reader to be ready for an adventure.. .a step away from the ordinary life. A great post. It is work, but great to help you focus. Thanks for sharing Lisa. Step Away from Ordinary does describe your fiction. I love it! And what a super idea, to be able to brainstorm with other writers. Loved this! I've rewritten my tag line at least a dozen times. Oh, well what's one more. Thanks for a great post. Enjoy working on #13!! Thanks for your comment. Thanks Annie. I hope to follow this thread through over the next month or two as it's a fun topic as well as useful. Thanks for sharing how you derived your tagline, your motto, your goal in a nutshell! Mine is Never Give Up. I have had that motto ever since I was 5 years old when I made up the story of Flip Flap Floodle. It helps me and it helps others, too. Good luck with your writing. You are an inspiration. Thank you for the information. I wondered just how to write one and what it actually was. This clarifies it for me. Now I can write one. I'm very appreciative.